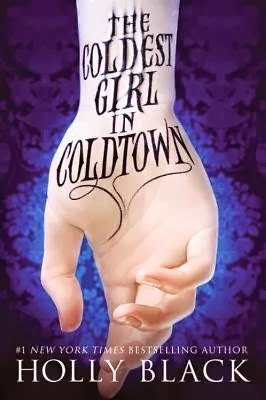 The Coldest Girl in Coldtown is an interesting take on the whole vampire phenomenon. There are walled off communities where vampires and those who are "infected" are supposed to live. People who are infected are not vampires, but they have been bitten by a vampire and could turn into one if they succumb to the urge to drink human blood. The urge is relentless, so most infected individuals eventually turn. If they are able to resist the urge for 88 days, the infection wears off and the individual remains human. There are some humans who were trapped when the walls went up as well as humans who volunteer to go into the Coldtowns for the vampires to feed on. Most of the volunteers are hoping they will eventually be turned into vampires, but that is rarely the case since the vampires need to protect their food supply. Tana is a 17 year old girl who was at a party with a bunch of her friends when there was a vampire attack. Tana and her ex-boyfriend, Aidan, are the only survivors. They help a vampire named Gavriel, who was being held captive by the attackers, to escape as well. The three of them travel together and check themselves into the local Coldtown, which is where the majority of the story takes place. Flo and I decided to select The Coldest Girl in Coldtown for our April read along after reading all of the amazing reviews when this book was first released. I was expecting it to be the next Twilight, Vampire Academy, or WVMP Radio series, but it fell short. While I liked the story, there was definitely something missing. It never really grabbed and held my attention until the last 100 pages. It is my understanding that this is supposed to be a stand alone novel, but I honestly believe a sequel containing A LOT more of Gavriel would be a far superior book. I loved all of the scenes when he was present, but they were far and few between until the very end. The ending was also left open, so Holly could easily resume the story at some point in the future. While I am not counting on there being a sequel, I would DEFINITELY read it if there is.